Store special jewelry or other tiny items in style with this pretty, minimal wood painted bowl in your choice of a solid color. 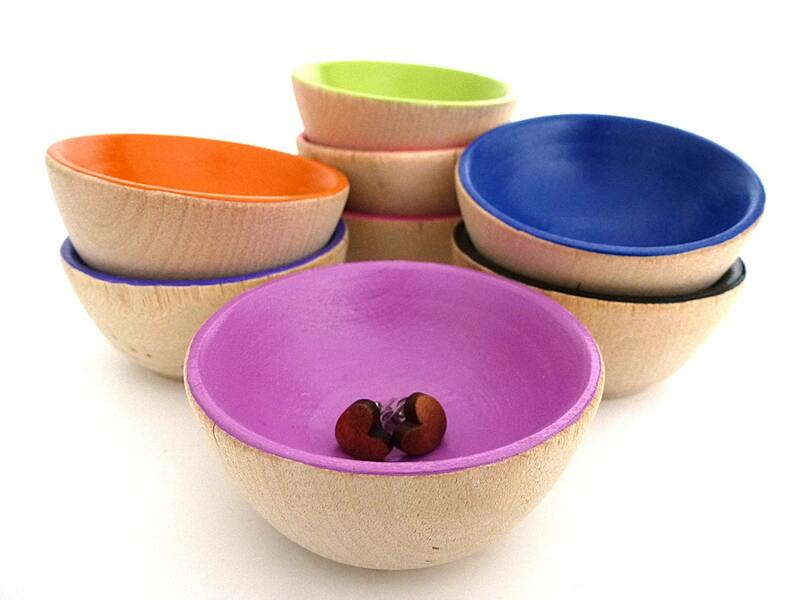 Tiny wooden bowls make a beautiful gift, especially for traditional 5th wedding anniversary of wood. Looking for a one-of-a-kind bridal shower or wedding gift? Give a special memory to an engaged or newly married couple by choosing a bowl the same color as the wedding colors. Add a pop of color to a teen's bedroom or college dorm room. Have your ring bearer carry wedding rings down the aisle in a keepsake bowl. • 1.25" tall, 2.25" diameter. Earrings sold separately. This listing is for ONE BOWL. Cute little bowls, perfect for holding rings and small earrings! I bought these for a bridesmaid gift and they are perfect! I love them so much!! I love the Plum color!